All thanks to me that keep burning midnight oil for past few days, I can clearly see the pimples and dark circles appeared on my face. 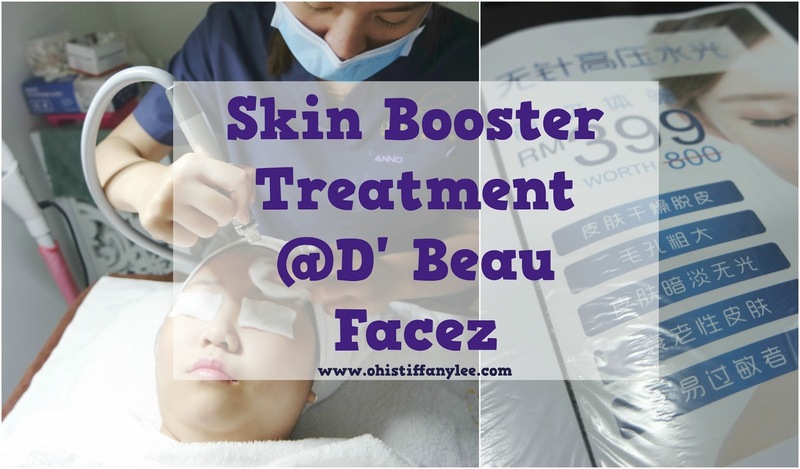 Before CNY, I decided to pay a visit at D' Beau Facez for pampering my skin. 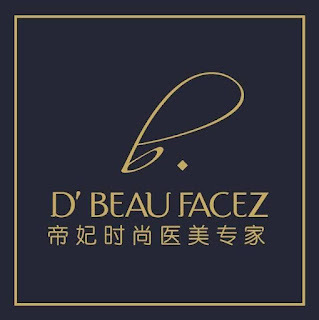 D' Beau Facez is an aesthetic clinic which was launched on 17th December 2017. They provide one stop medical service, and safe and effective aesthetic procedures such as Piccosure, Ultrashape, face slimming, face treatment and etc. 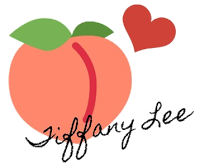 They believe that medical beauty is a way to make life better and will eventually change the world’s perspective on beauty. D' Beau Facez is located at Damansara Uptown, which is one of the popular areas in Petaling Jaya. You might face parking problem if you visit the place especially during the lunch and dinner hour. I found the waiting area really comfortable and clean. I was asked to fill in my personal details to get latest updates from their clinic. 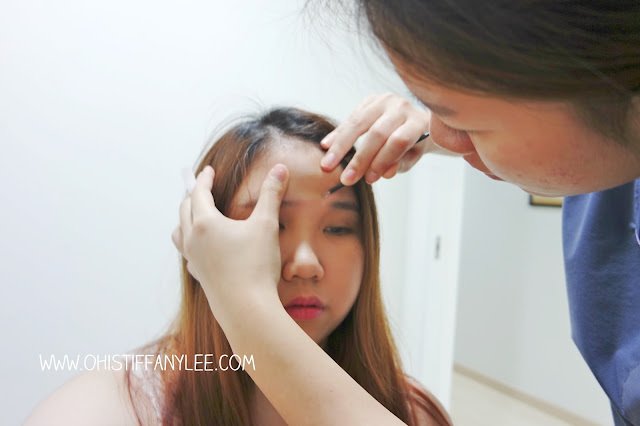 During my skin consultation, I did a skin test by scraping a small part of skin tissue from my forehead. 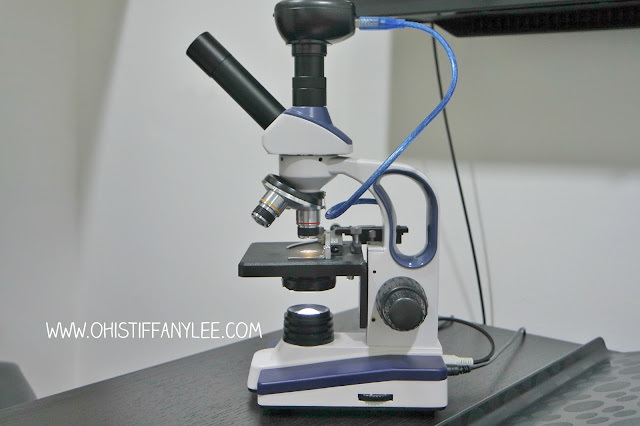 The skin tissue was examined by using the microscope. I assume that many of us experience skin was not improving although we brought expensive skincare products. Actually, it is caused by face mites, a tiny pest that we can't see by using our eyes. It growths underneath our skin due to the warm weather in Malaysia and it might cause enlarged pores, skin allergic, skin inflammation and other skin issues. 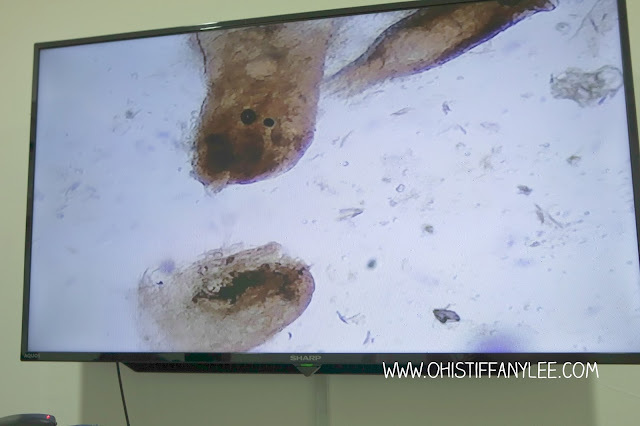 All the essences from our skincare products have already eaten by the mites underneath your skin. Therefore, it is very important to cleanse our face to prevent the mites growth rapidly. My skin condition can be clearly seen through the TV screen. Fortunately, I was told that there are no mites under my skin but my T-zone area are dry. There are some dirt and oil on my forehead area as well. 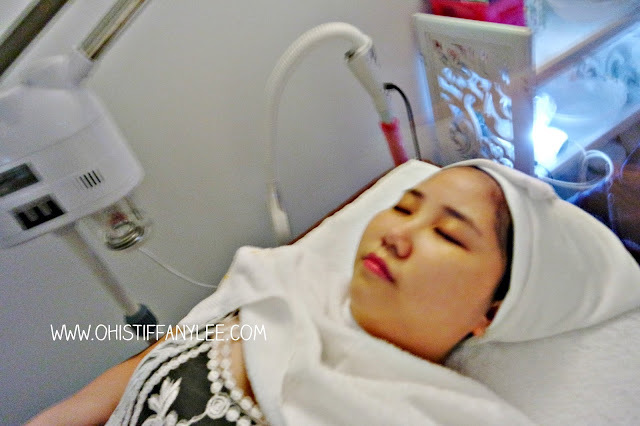 As I have a dry skin, I decided to give a try on their Skin Booster treatment. 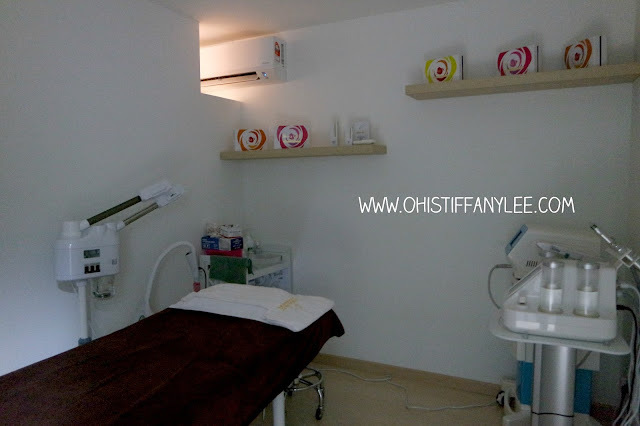 After consultation, I was led to a private room where I have my facial done. Like how the usual facial did, they help me to deep cleansing and steamed my face to open up the pores. I also did comedone extration especially on my T zone area as I have a stubborn whitehead. The next step is going to be deep pore facial vacuum! It is actually a process to clean our pores by using a small vacuum to gently sucked all the whiteheads, dirt and oil on face. We are going to start our Reskin Skin Booster session. Skin Booster is the needle free new technology imported from Korea by using high-pressure water to deliver the nutrition into deeper skin layer. It helps for skin re-hydration, restore skin youthfulness, wrinkles reduction and improve uneven skin tone. Skin Booster claims to have the same benefits as an injection, yet is painless, safe and no side effect.This treatment is suitable for all skin types. I don't feel any pain throughout the process, it's just like something keep pitching your face. 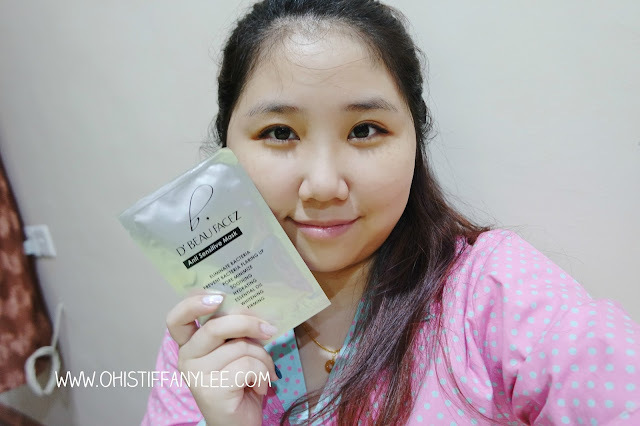 For the last step, they help me to apply their anti- sensitive face mask which helps my skin to cool down and reduce redness on my face. This anti-sensitive mask is formulated with Chinese herbs and it gives an instant result in stimulating skin' own collagen for achieving younger and smoother skin. Not only that, it is also great for firming, face whitening, hydrating, soothing, pore minimize and prevent bacteria flaring out. They have given me a box of masks so I can use it at home. I love the mask so much as the texture is very watery and non-sticky. I can clearly see my skin getting smoother and brighter. 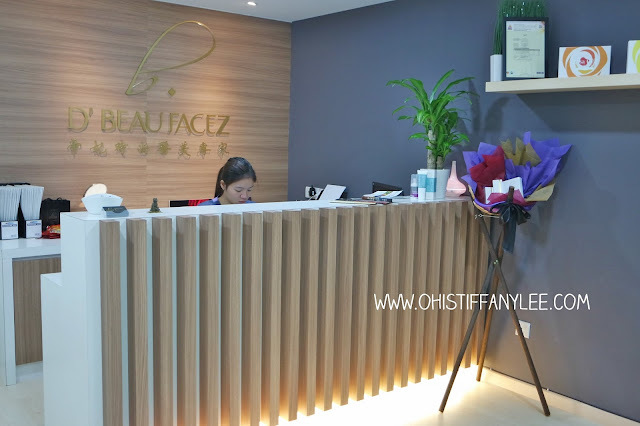 Overall, I have a great experience with D' Beau Facez, not just for their facial treatment, even for their friendly staff and good service too! 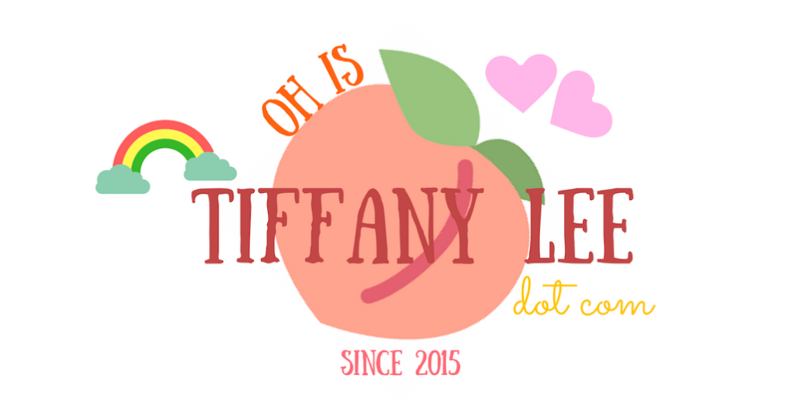 I would like to share a great news for all my readers! 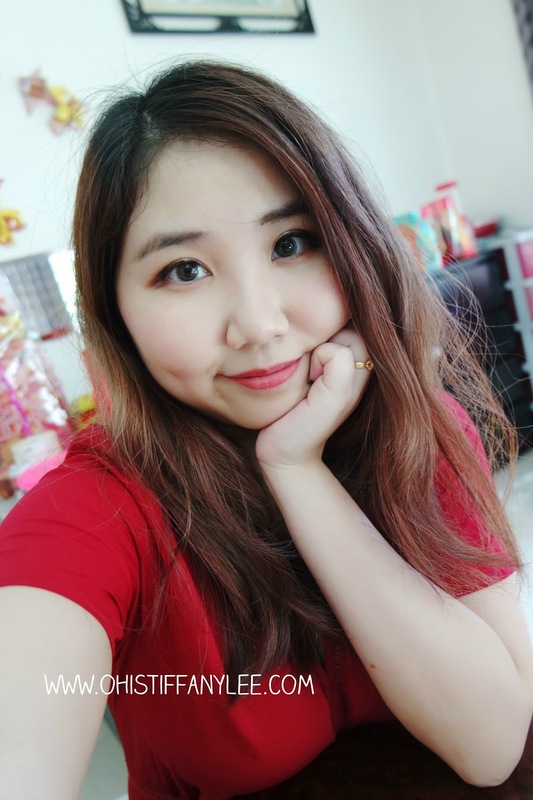 If you wish to try out their facial and aesthetic treatment, you can mention my name for enjoying 10% discount for their aesthetic procedures and facial treatment. 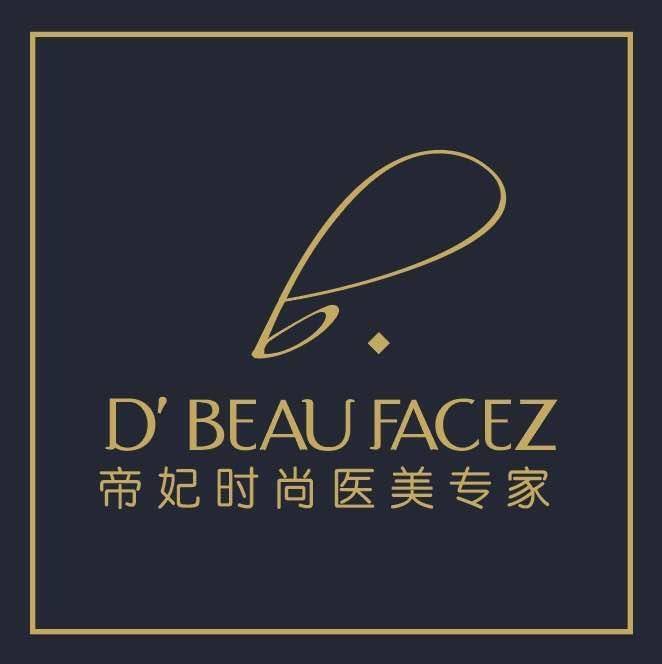 Now it's time to visit D' Beau Facez to treat yourself better for keep your skin look young and jubilant!